Before her presenting duties, Issa Rae posed on the red carpet yesterday evening(March 30th) at the 50th NAACP Image Awards at the Dolby Theatre in Hollywood, California. 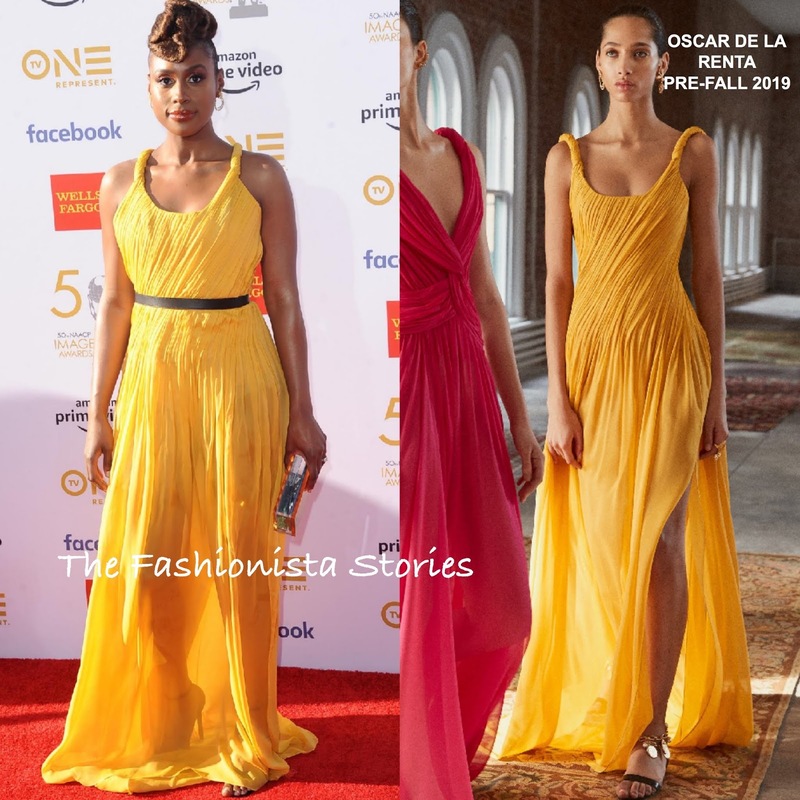 I love this yellow pleated OSCAR DE LA RENTA PRE-FAL 2019 gown that Issa is wearing because the color looks divine on her. However on this occasion, I wish she didn't add a belt. It doesn't make the dress look flattering on her. Beauty look is flawless which topped off her look along with an L'AFSHAR clutch. How do you prefer the gown, with or without the belt?